Greetings Loyal Airmen. After last week’s brief entry, this week’s is a bit longer and covers a bit more ground. Let’s start with the some comics news. 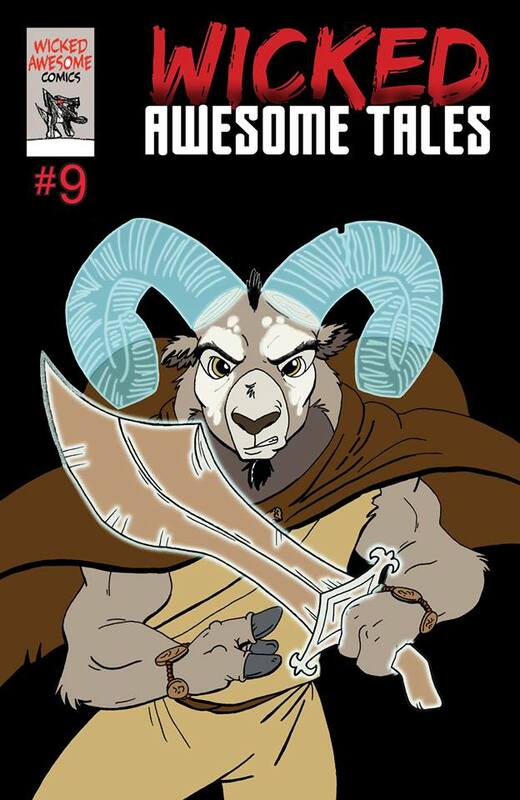 A few years ago the Air Chief created a character called Raizee the Ram in an 8 pg fantasy strip called, “The Wooden Blade.” It sat in our files for just about a year and then along came artist Olivia DeGaine. Olivia was looking for a new project to work on and we showed her the script. Within days she’d done up some amazing sketches of our hero and his world and asked to sign on. So right there and then, we became partner/co-creators of Raizee the Ram. Olivia wasted no time in illustrating that first story and last weekend it appeared in # 9 of Todd Jones excellent anthology, Wicked Tales. Todd debut the comic at last weekend’s mega Denver Comic Con. Since writing that first tale, the Air chief set about writing two more 8 pagers for Olivia, one based on her idea and the other we whipped up detailing how Raizee meets his friend, the Vulture. Olivia has penciled all the stories and is now inking and lettering them. Once done she, and her husband Zane, will be publishing Raizee’s own comic via their Pulp Fission company. Meanwhile, the original “The Wooden Blade” will see print in other anthologies in the coming months as we continue promote both the character and new series. Stay tuned, we’ll keep you all posted for sure. 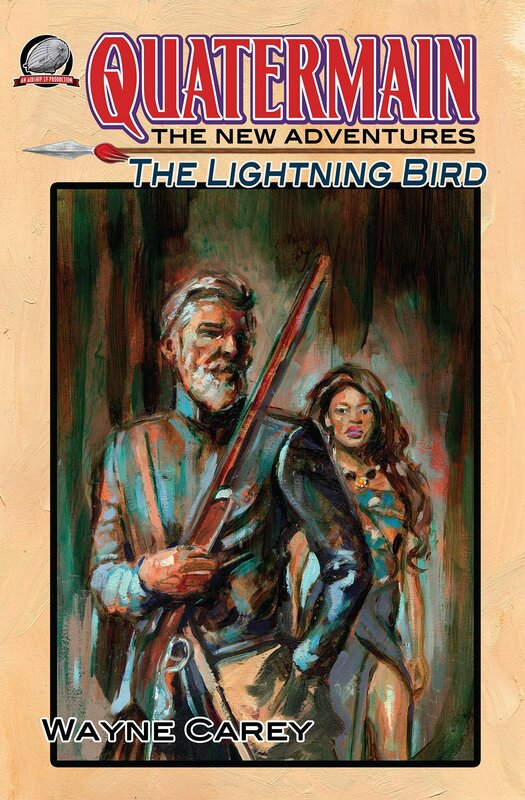 Oklahoma based New Pulp writer Mel Odom recently won two Western Fictioneers award. 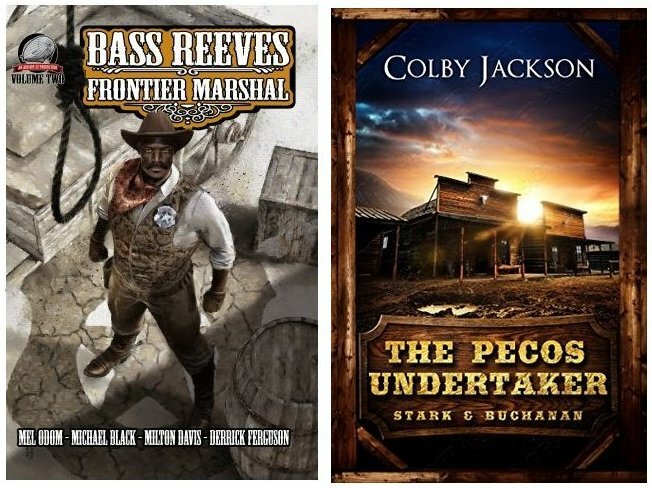 The first was for Best Western Novel, “The Pecos Undertaker” under his penname Colby Jackson and the second for Best Western Short Story, “The Train Robbery,” from “Bass Reeves – Frontier Lawman Vol II” from Airship 27 Productions. Details can be found here. 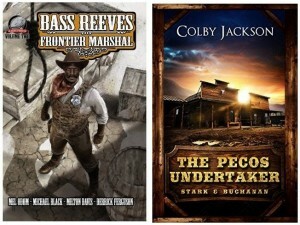 (https://westernfictioneers.blogspot.com/2018/06/western-fictioneers-announces-8th.html). All of us at Airship 27 Productions congratulate Mel on these well deserved awards. Airship 27 Productions’ newest title was also released this past week. It is author Wayne Carey’s second Quatermain – The New Adventures novel for us and sub-titled The Lightning Bird. Carey’s first Quatermain novel, The Beast Men, recently received a glowing review from the members of the on-line H. Rider Haggard society, Haggard the British author who first created the African guide/hunter in his classic adventure book, “King Solomon’s Mine.” As ever this new book, which features a cover by Graham Hill and interior illustrations from Clayton Hinkle can be found at Amazon in both paperback and on Kindle. As ever, Loyal Airmen, thanks for the continued support. And there you have it for this week Loyal Airmen. As ever, thanks for stopping by. See you next week.